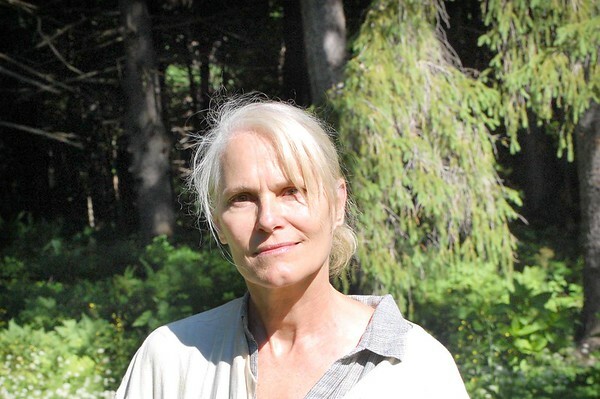 Cynthia Wick in front of the trees that she paints. Lenox, Mass. June 28, 2017.